"A terrific book for the advanced sales professional. Jim Holden helps you create an easy–to–follow and battle–tested system that will lead to higher sales, more competitive victories, and stronger relationships at the executive level. It is a must–read for those who are serious about developing more business." "Many books have been written about selling techniques, but few provide real value to the sales executive in the field. Jim Holden delivers the key elements of selling success, and the tips and sample dialogue he provides will help sales professionals sharpen their skills and improve their close rates. I can easily see The Selling Fox becoming an indispensable tool for all sales organizations. I only hope my competition doesn′t read it." "There are lots of salespeople, but few who can operate at the highest level. Anyone who either aspires to sell at the top levels of business or is responsible for a commercially focused sales team should read this book. Highly recommended!" "The Selling Fox is the most powerful resource I′ve read for planning and executing successful selling strategies. Jim Holden has a masterful way of simplifying the complex nature and character of the professional salesperson in the most practical, results–driven way. Anyone who aspires to the highest income potential of top selling professionals should study this book for all it′s worth." 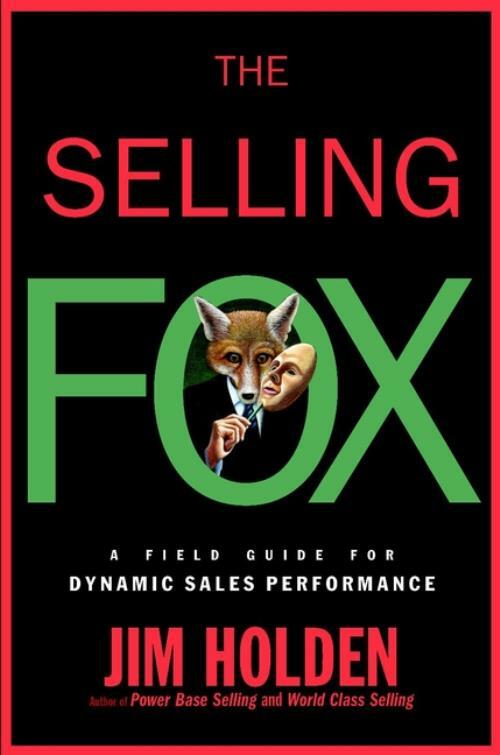 "The Selling Fox strikes a perfect balance of groundbreaking sales methodologies and proven, high–impact tactics, necessary tools in today′s competitive climate. Salespeople who commit to applying the concepts put forth in this book will outfox the competition, deliver significant value to their clients, build long–lasting relationships–– both internally and externally–– and realize greater selling success." Chapter 7. De–Installing a Competitor.